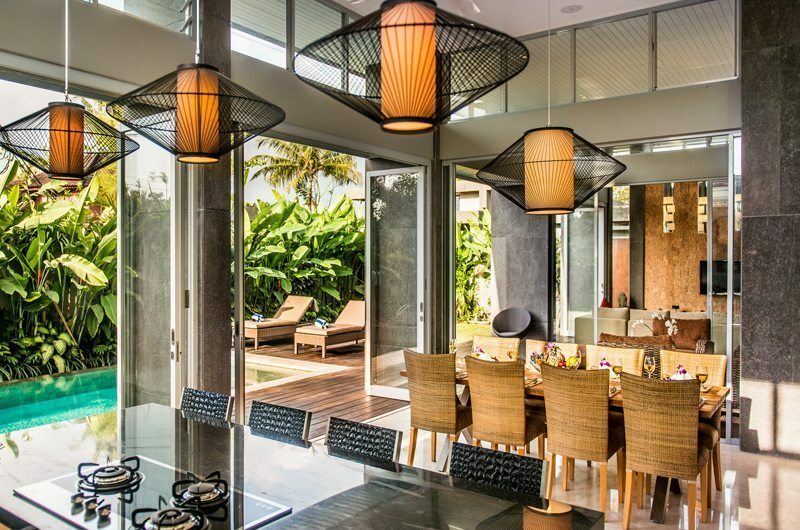 Aramanis Villas is an ideal holiday villa offering ultimate comfort and privacy in luxuriously designed three bedroom private villas. 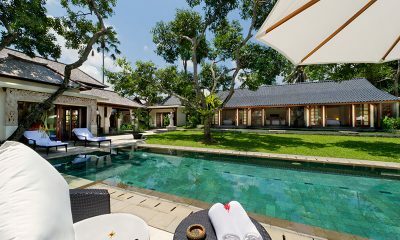 The villa structure spreads over an expansive 300 sqm of floor space, all set within 500 sqm of professionally landscaped private gardens. 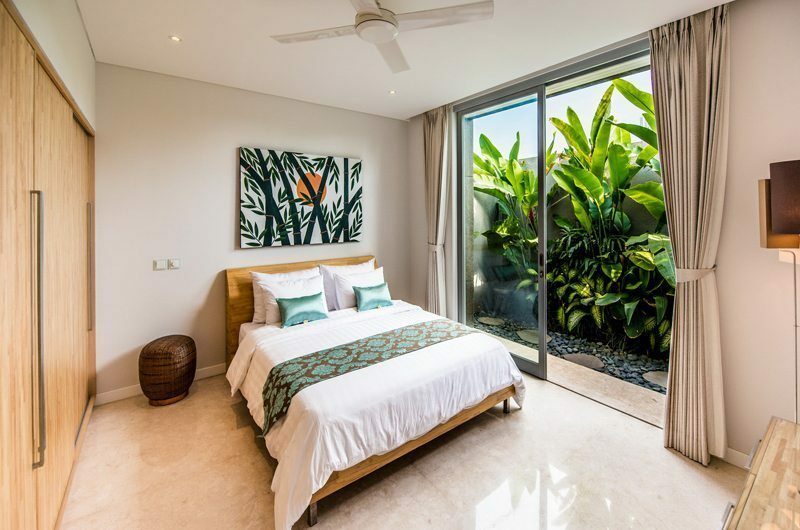 Aramanis Villas is the finest choice for those looking for comfort. 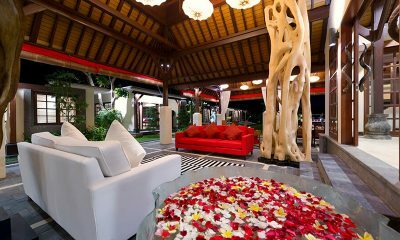 The living and dining area is beautifully decorated with cane and wood furniture and sofas. 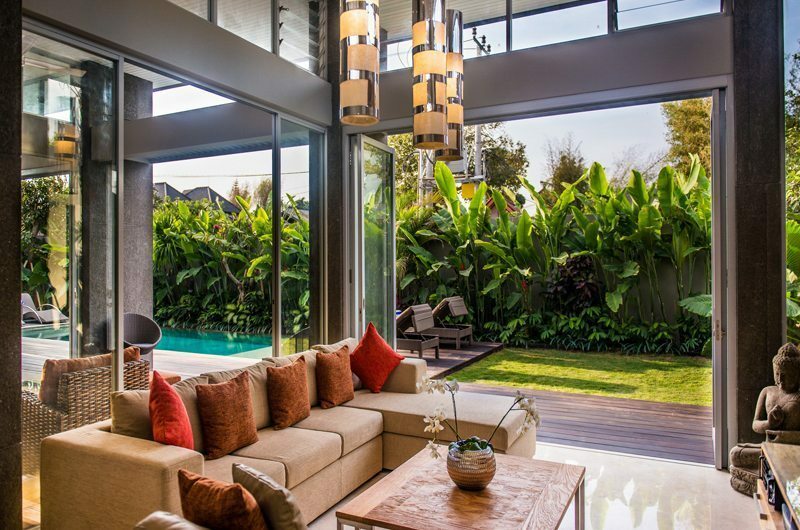 The area features 4.2 metre high ceilings with louvre windows for the natural cool breeze to pour into the villa. 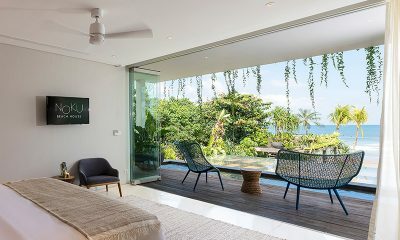 Aluminium bi-fold doors open out to the private gardens and pool area, adding to the natural goodness. 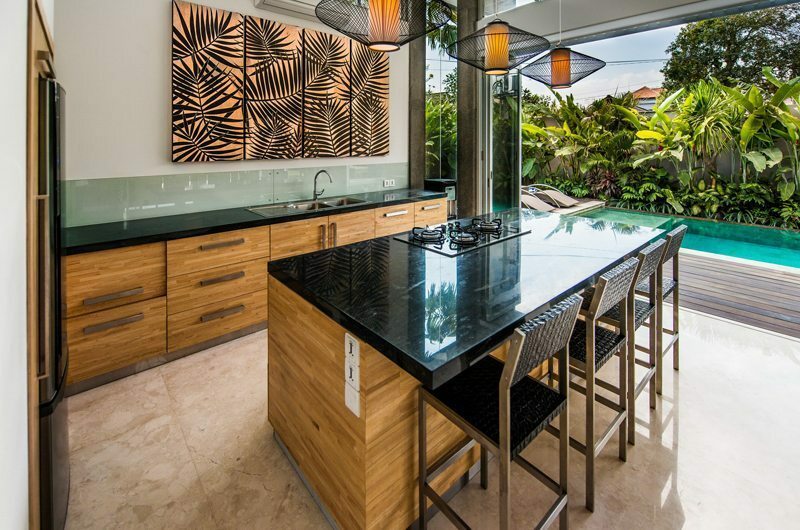 The dining area has an 6-seater dining table and an ultra-modern kitchen with a breakfast bar and stainless steel appliances, perfect to relish all your meals by the overlooking poolside serenity. There is a separate indoor/outdoor room with cosy rattan furniture, an ideal spot for relaxing with a book or enjoying drinks. 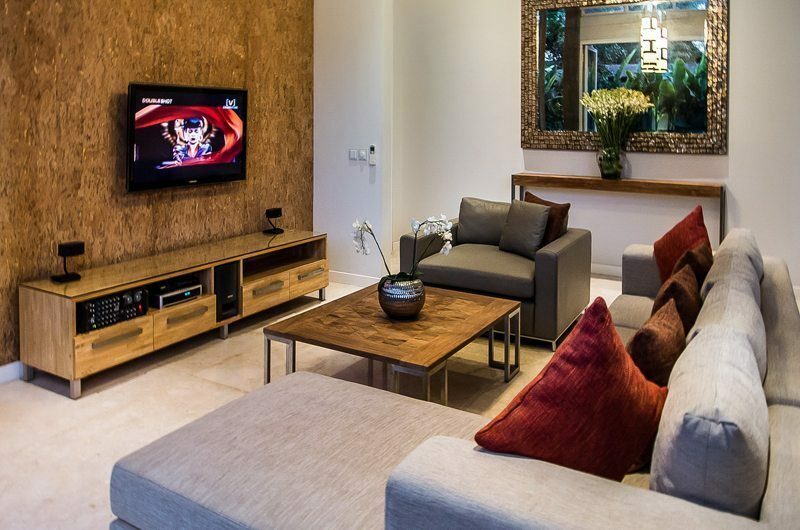 The media rooms provides the best in entertainment with a wide screen LCD TV, DVD player, surround sound and an iPod docking station. The villa promises to deliver an entertainment experience like never before! 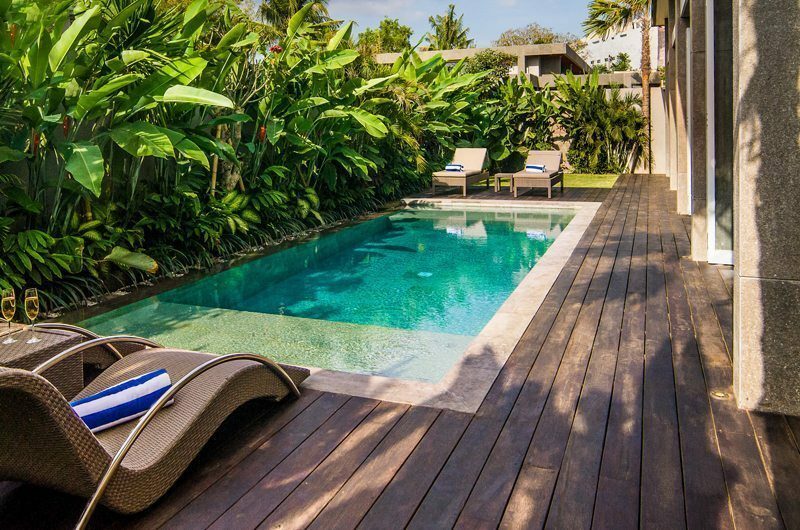 A perfect day at Aramanis Villas could ideally begin with a yoga or meditation session in your private garden or a refreshing dip in the 8 x 4 metre swimming pool. The outdoor features at this Bali villa will leave you relaxed as you spend hours soaking up the serenity and blissfulness of the tropical setting. 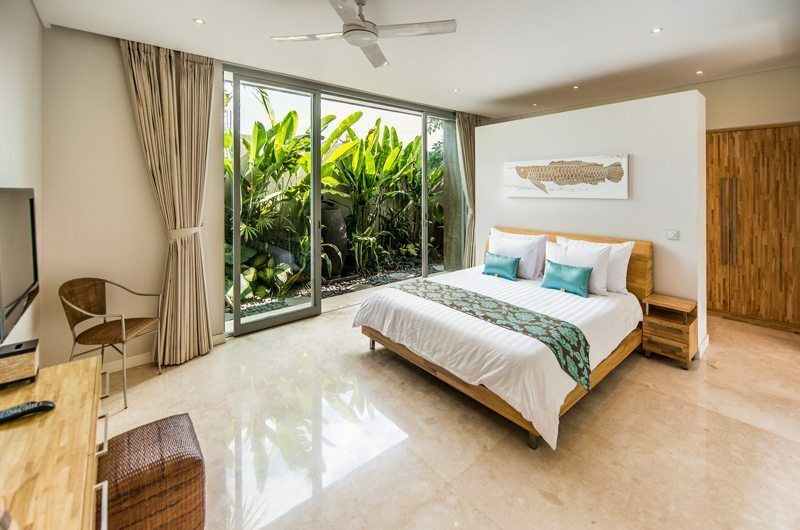 The three generously sized bedrooms at Aramanis Villas provide comfort and luxury, perfectly accommodating a family of up to six members. All bedrooms are fully air-conditioned and equipped with built-in wardrobes, LCD TV and DVD player, large comfy beds, soft linens and luxury private en-suites. 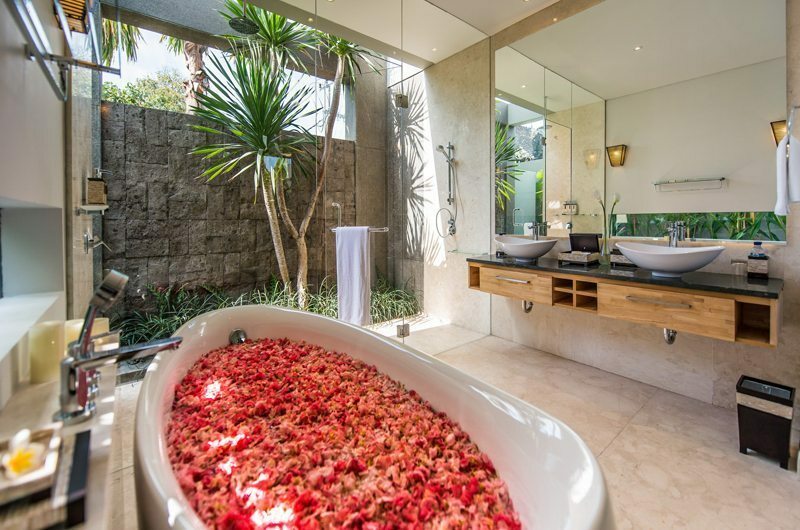 The master bedroom features a double vanity, double-shower, free standing bath and walking-in robe. One guest bedroom has a large double bed while the other has twin beds. 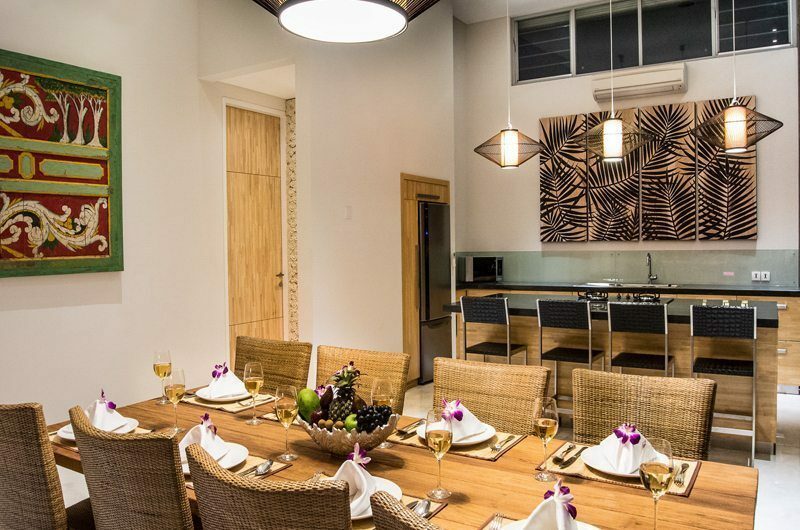 Your stay in Aramanis Villas is made enjoyable by the professional staff. 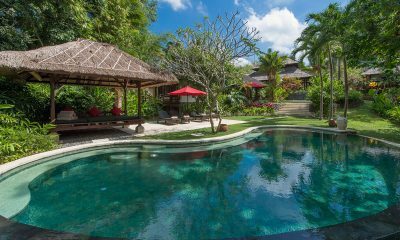 Aramanis Villas’s staff have been professionally trained and will do their utmost to please with their warm and friendly Balinese hospitality. 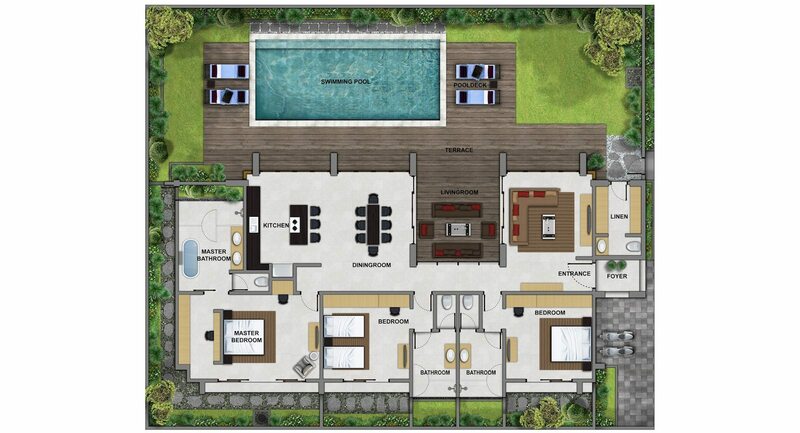 Aramanis Villas’s experienced and knowledgeable manager is responsible for the overall operation of the villa. The villa manager will oversee and coordinate the staff and property and assist you during your stay. 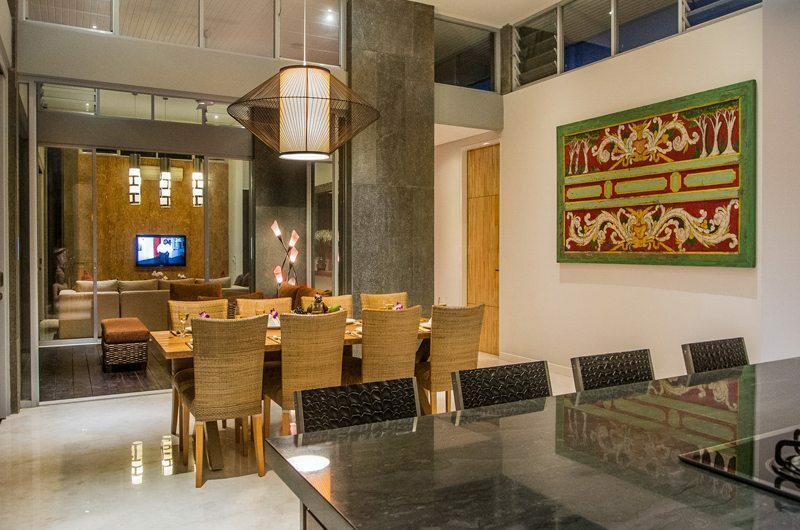 Aramanis Villas is strategically located in the Seminyak area with the best restaurants, bars and boutiques near by. 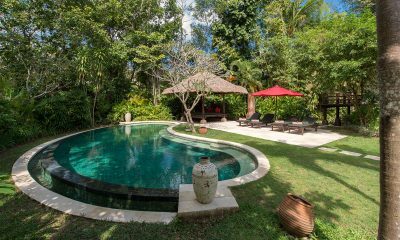 The villa is quietly tucked away in a peaceful lane on the board of Legian and Seminyak, yet positioned within the easy reach of the action. 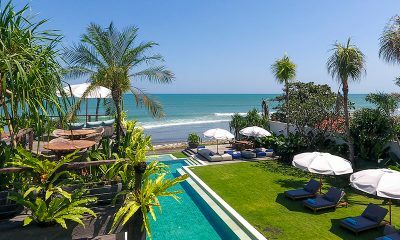 The Seminyak Dhana Pura Beach is about a 5-10 minute drive from the villa. 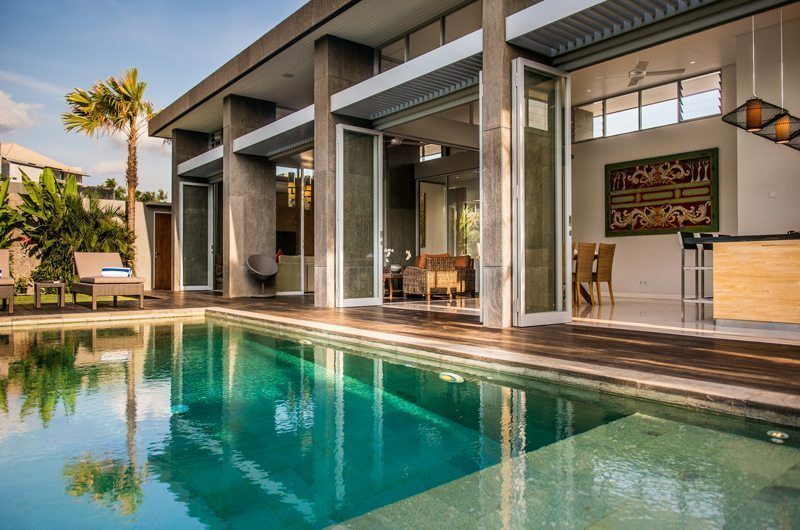 The villa is about 25 minutes away from the Ngurah Rai Airport.